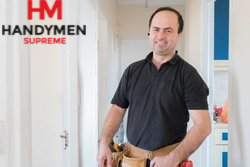 Need a Supreme Handyman Service in London? We Have You Covered! Handyman Supreme has been providing Londoners with professional handyman services since 2007. We provide the optimal handymen services in terms of quality, professionalism and price. With experienced and multi-skilled handymen at our side, we will help you fix any repair or maintenance issue you have, from a shower leak to repainting your home or office. Handymen Supreme has earned a reputation of providing professional and quality handyman services across London, covering all M25 areas. Over the years we have perfected our services and benefit system, leaving no customer unsatisfied. At Handyman Supreme, we make sure the tradesmen assigned to complete your request have the exact skills needed to carry out the services you’ve ordered. Professional handyman North London will take care of all the tools and supplies needed for completing your order. One short call gets you a local London handyman to your door! With our 24/7 customer support you can call us anytime of the week at 020 3746 5607 and speak to one of our service consultants. Simply mention any and all specific details about the tasks you want done either through phone or our online chat and booking form. Handymen Supreme’s Multiple Benefits - Get Your London and North London Handyman Today! You'll always be aware of your spending - all prices are clear and transparent, and we hate hidden costs as much as you do! Take a look at our prices page for more information! Your local handy man London and North London will work with diligence, speed and efficiency to get your job done on schedule and with quality. Odd Jobs - hire a competent odd job man for any jack-of-all-trades repair at your home or office. Re-hanging broken doors, fixing malfunctioning lights, door handles, locks, shower/bath screen installation and unblocking toilets. These are just a few of the odd job services we provide in London. Furniture Assembly - save yourself the time, effort and irritation of putting together flat pack furniture - skillful and well-organised handymen will assemble your furniture. We also provide furniture repair service in London as well as IKEA furniture assembly. TV Wall Mounting - Local handymen will take care of your TV, no matter the size, wall type and place you want it mounted. We can help you conceal the cables as well. Hanging and Fitting Services - We offer the complete service - square-hanging pictures, mirror hanging, curtain hanging, shelves fitting, shower curtains, and more! We can also do loft ladder installation! Handymen Supreme works with well-vetted and licensed teams with CRB records checked. A thorough interviewing process and an ongoing quality control inspections ensure that the teams can provide high standard work with no exceptions. Furthermore, all the London and North London handyman services you get from us are delivered with our quality guarantee, and under full insurance protection. The services we provide are hourly-based meaning you only pay for the actual amount of work that you have requested. You can request an expert handyman North London or in any other location in the M25 London area. Hire a Supreme Handyman Today! Get devoted and experienced handyman to your door today! Our customer support is available 24/7. Simply call 020 3746 5607 to get an instant quote and book your handyman service! You can also fill our booking form or if you prefer, use the chat facility to receive further information about the services we provide.